At long last, a DC movie that doesn’t make you want to claw your eyes out. It has been a long time coming, especially since the company has been trying to years to make audiences take them seriously, and failing for the most part – While movies like “Man of Steel” and “Batman vs. Superman” have their share fans and defenders, the general consensus is that those are the bottom of the superhero barrel, at a time when this genre is at its peak. Part of the reason DC has been like this is due to the success of Christopher Nolan’s “Dark Knight” trilogy, which were moody, atmospheric, and thought-provoking. Clearly, with how movies like “Suicide Squad” turned out, they wanted to build off what Nolan’s movies started. Another factor, whether DC wants to admit it or not, is Marvel studios and DC attempting to not make their movies in the same vein. But the results up to this point have been dull grey movies where you can hardly tell what’s going on, about a bunch of whiny power-hungry man-children who act more like villains than the actual antagonists, and then spend the rest of their time brooding or sulking, making for an unenjoyable or unpleasant experience. But thank the gods, DC seems to have finally gotten over that dark phase with their newest entry in their cinematic universe, “Wonder Woman.” What a complete change of pace from their previous movies – filled with a diverse range of colorful characters, led by a strong yet flawed woman, while at the same time being a period piece that can easily switch between war scenes, comedy, and some slice-of-life quieter moments. I got everything I wanted out of “Wonder Woman” and it was a joy to sit through. 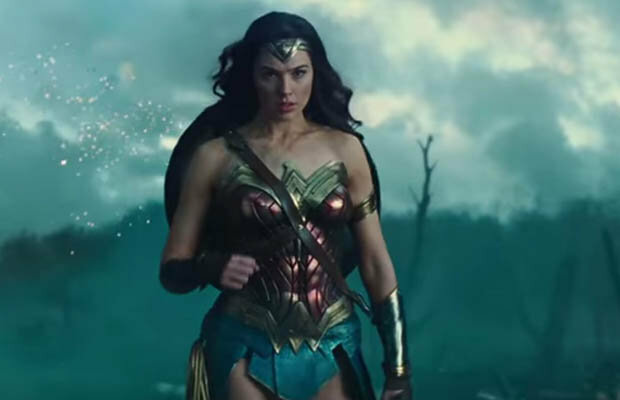 The film begins on the island of Themyscira, a magical island hidden away from the rest of the world, inhabited by the Amazons, an all female-race created by Zeus to protect humans from the god of war, Ares. Since Ares hasn’t risen in centuries, the Amazons have lived peacefully on Themyscira without aging, but still train and are prepared for when the time comes that they are needed. 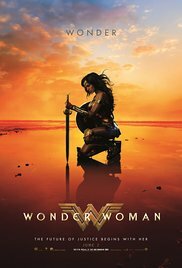 Their queen, Hippolyta (Connie Nielsen), decides she wants to raise a daughter, thus scuplts one from clay and is brought to life by a lightning bolt from Zeus, giving birth to Diana. As Diana (Gal Gadot) grows older, she learns about Themyscira and how Ares corrupted the otherwise good hearts of men, as well as the one weapon that can stop Ares – the Godkiller. 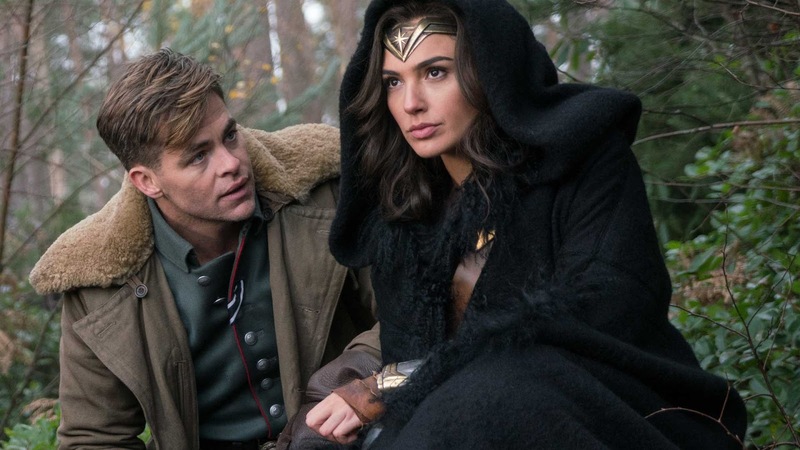 But when a airplane crashes through the magical barrier protecting Themyscira, Diana goes out to rescue the pilot, Steve Trevor (Chris Pine) and he tells the island about the terrible war going on throughout the world. Diana is convinced that Ares is to blame for this world war, and sets out to bring him down, believing that the war will end the moment Ares is killed. Gal Gadot and her performance as Diana is the charm of “Wonder Woman.” Her wide-eyed innocence is cheerful and infectious, but never to the point where it was annoying. One of the better small moments is when she has her first taste of ice cream and is blown away by the taste, saying to the chef that he should be proud of the work he does. There is love and affection in every thing she says, and you really get the impression that she cares about every person out there. On her way to the battlefield, she nearly stops to help any person who is suffering, which is pretty much everyone, even if she cannot help all of them. This is a woman who would selflessly put the needs of anyone and everyone ahead of her own, and always believes in the goodness and kindness in every living being, even if that gets her into a lot of trouble. Gadot also has wonderful chemistry with Chris Pine, who acts as the straight man to her antics in London. One of the best scenes in the movie is the two of them sharing a boat ride to London, and they share more of their backstories – Diana explaining she was created by a lightning bolt from Zeus leads to some great reactions from Steve – as well as the difference between their worlds, and a discussion on “the pleasures of the flesh,” which given that Diana grew up on an island of only women leaves Steve in an awkward position. The war sequences are beautifully shot, especially the trench warfare scene that showcases Diana’s full potential and her ‘never-give-up’ attitude – only armed with a shield, sword, and lasso, taking on a battalion of well-armed Germans on a desolate and barren landscape. The music amplifies the intensity of these scenes and makes every punch and bullet feel far more powerful. There is not a single scene that feels wasted in “Wonder Woman,” with something of value coming at nearly every moment. 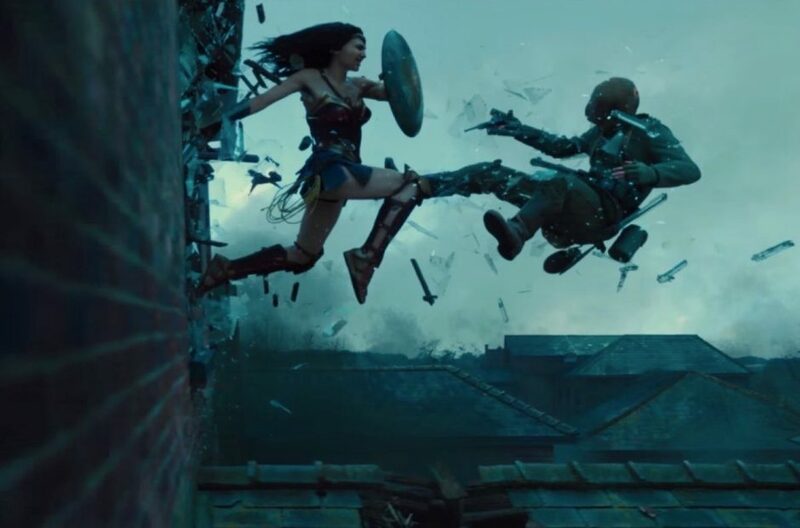 Whether that is Gadot’s acting, the charming yet hard-hitting screenplay, the chemistry between Gadot and Pine, the quieter moments of reflection and fondness, the fascinating Greek mythology on display, or the well-executed action sequences, “Wonder Woman” has plenty to offer audiences of all types. Nice review. It’s just an altogether solid movie. Superhero stuff aside.